grandma's cookie jar: Help the Children You Love Have a Strong "God Confidence"
Help the Children You Love Have a Strong "God Confidence"
Show your "God confidence" and tell your grandchildren how you hope in God and how He has answered your prayers. 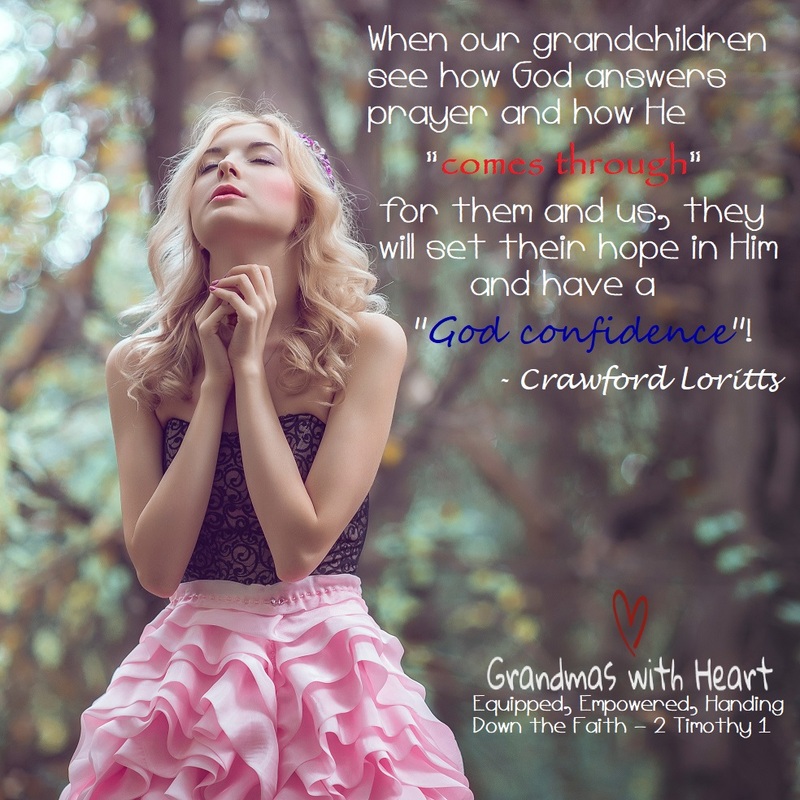 Then, help them keep an account of how God answers their own prayers - big and small - so they are able to see for themselves how "God comes through", "set their hope in Him" and have a strong "God confidence" of their own. This is what "handing down the faith" looks like.